DeConcini McDonald Yetwin & Lacy congratulates shareholder Ronald Zack for being selected by the Volunteer Lawyers Program as the Outstanding Pro Bono Attorney of the Month for June! This award recognizes extraordinary contributions by an attorney in making legal services available to the community who otherwise could not afford them. Through their time and expertise, these volunteer attorneys help make the justice system accessible to all. Ron is a Shareholder in the Firm’s Tucson office. 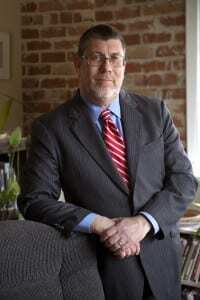 His legal focus is elder law and estate planning. He also practices in the areas of criminal defense and juvenile matters, such as representing parents accused of abuse or neglect.